On March 1, we at Revü spotted Xiaomi’s Redmi 5 and Redmi 5 Plus on its official store on Lazada Philippines. The specs, the prices… everything was already up there. Except that you couldn’t buy the devices just yet. So when Xiaomi revealed that they would announce two more smartphones with nearly borderless screens at the Redmi 5A launch, we were expecting to see both handsets there. Unfortunately, that did not happen. Only the P9,990 (roughly $193) Plus variant showed up. 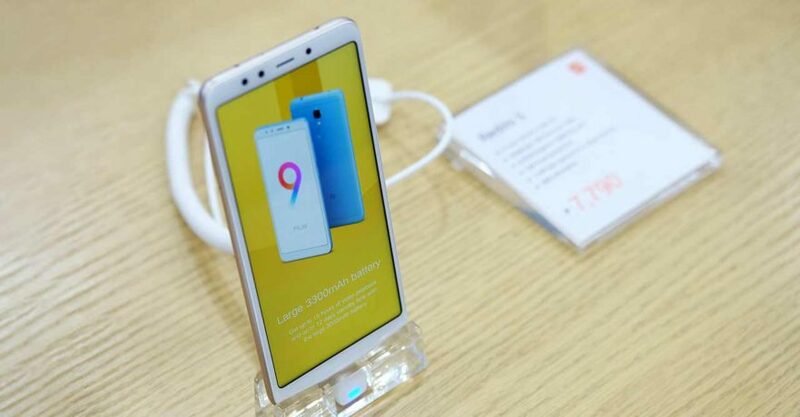 Fast-forward to the March 17 opening of the Xiaomi Mi Authorized Store at SM Megamall in Mandaluyong City, and what did we see? On display was the Xiaomi Redmi 5. True enough, just as what we had reported, the price is a palatable P7,790 ($150). However, the phone is still just that: on display. We learned that units have not arrived yet and that Xiaomi hopes to formally announce it in the Philippines in April. On display at the Mi authorized flagship store at SM Megamall: the Redmi 5. Xiaomi hopes to formally announce it in the Philippines in April. So how does the Xiaomi Redmi 5 differ from the Redmi 5 Plus? Physically, they’re about as similar as two phones can get, but one major differentiator is the screen. The latter has a bigger, 6-inch display with full-HD resolution while the one on the regular model measures 5.7 inches and gets a lower resolution at 720p. Inside, the differences lie in the processor and battery. The Xiaomi Redmi 5 Plus features a Qualcomm Snapdragon 625 chip and 4,000mAh battery, while the standard variant packs a Snapdragon 450 processor and a 3,300mAh cell. If you’re curious about the two smartphones’ performance and you’re based in Metro Manila, we suggest that you make the trip to SM Megamall. 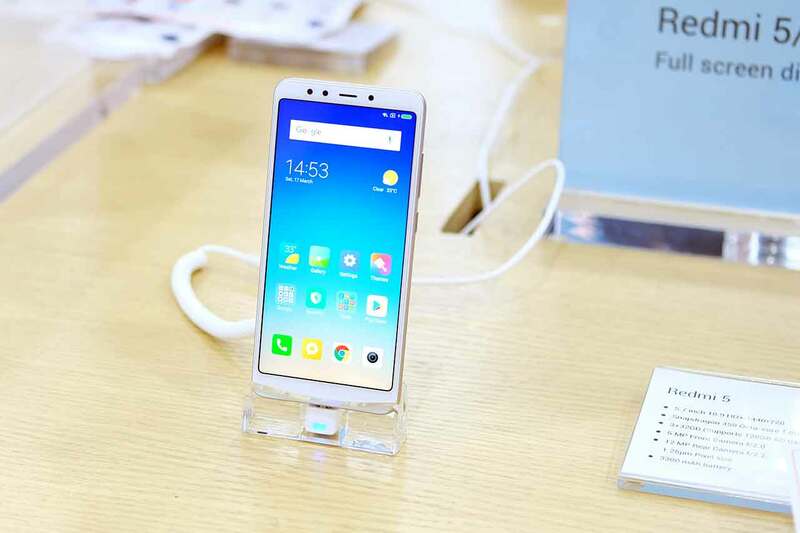 Or you can read these contributed reviews: Xiaomi Redmi 5 review: Go bezel-less on a budget and Xiaomi Redmi 5 Plus review: A worthy Redmi Note 4X upgrade.